Easily print labels from RF-SMART mobile functions and Oracle applications with a Cloud Label Printing solution. 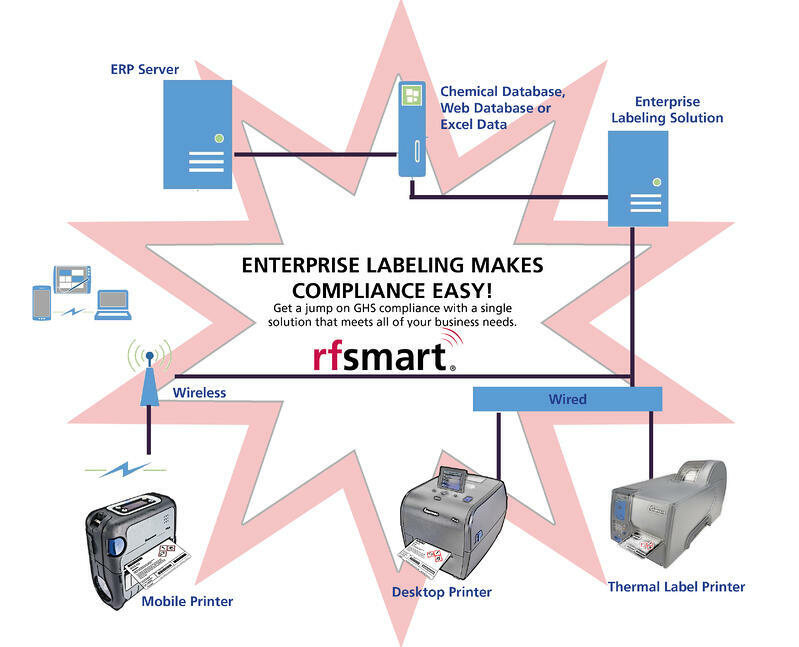 With RF-SMART, you can work from a single source of truth for creating and printing your labels, bringing all of your databases together in one place. This level of integration enables dynamic labeling and ensures accuracy and efficiency. Design labels for items, assets, case/cartons, warehouse locators, shipping and for virtually any other use. Include symbols, signal words, logos, hazard elements and any additional data requirements (like lot and serial numbers, expiration dates and other data) from Oracle Cloud or other databases to ensure labeling compliance. Automate your labeling process by connecting all of your printers and even specifying particular printers based on user, transaction, label type, warehouse location or other Oracle Cloud field. Leverage pre-print processing capabilities to collect data from multiple systems – including Oracle Cloud applications, machines or databases – to make building complex labels easy. Use post-printing processing to log print requests to another data source. You can also print confirmations, handle errors, and receive real-time feedback on print-job and printer statuses. GHS, a global standard for labels containing hazardous materials, went into effect June 2015. To meet the GHS label requirements, you’ll need to pull data from different systems – such as Oracle Cloud, SDS database, even excel - in order to capture all of the chemical product statements and pictograms, as well as your product and supplier information. That can quickly lead to redundant data sources and wasted money on manual processes. Increased efficiency with label printing is just a click away.